(WESTERN JOURNALISM) “Representatives from many of the world’s socialist, tyrannical and dictatorial regimes [are gathering] at the United Nations headquarters in New York for a month-long meeting, in which they’ll put the finishing touches on an international Arms Trade Treaty that could seriously restrict your freedom to own, purchase and carry a firearm,” warns Chris Cox, the executive director of the NRA’s Institute for Legislative Action (NRA-ILA). It’s happening right now. The member states of the United Nations have been meeting, behind closed doors with Hillary Clinton, since July 2nd to hammer out the final details on their so-called Arms Trade Treaty (ATT), and Barack Obama has vowed to sign it on July 27th. If you’re not worried, you should be. Cox goes on to say: “You might think that something so obviously menacing to one of our enumerated fundamental rights would receive a strong rebuke from our top government leaders. But you’d be wrong. 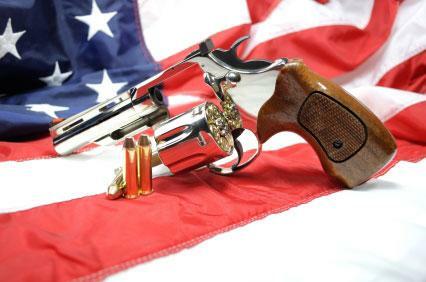 This is President Barack Obama’s vision for America, and we’re expected to just go along with it.” Make no mistake; your Constitutional and God-given right to keep and bear arms may forever be regulated and controlled by thugs within the United Nations. As a matter of policy, President George W. Bush not only opposed the ATT but also proclaimed that the United States would have no involvement with the planning or implementation of the ATT. He wanted no part of this treasonous treaty. But the times, they are a changing. Instead of following President Bush’s example and saying, from the get-go, that this voluntary surrender of our constitutional rights will ever see the light of day, Senate Republicans are taking more of a ‘let’s-wait-and-see-what-the-UN-comes-up-with’ approach. And while Republicans procrastinate, Hillary Clinton and Barack Obama are legitimizing and actively negotiating something that is illegitimate, a treaty the United States should never be negotiating in the first place. Don’t be lulled into complacency by the tough-sounding rhetoric. Words are cheap, and anyone who knows how the UN operates knows that its S.O.P. is deception. The ATT will, without a doubt, contain written promises and grandiose assurances, and the UN will assure far too many Senate Republicans that the ATT will in no way restrict your right to legally own a firearm.